Bangkok has many things and experiences to offer you, and shopping is one of them. Not in vain, many people come here for the sole purposing of doing so. 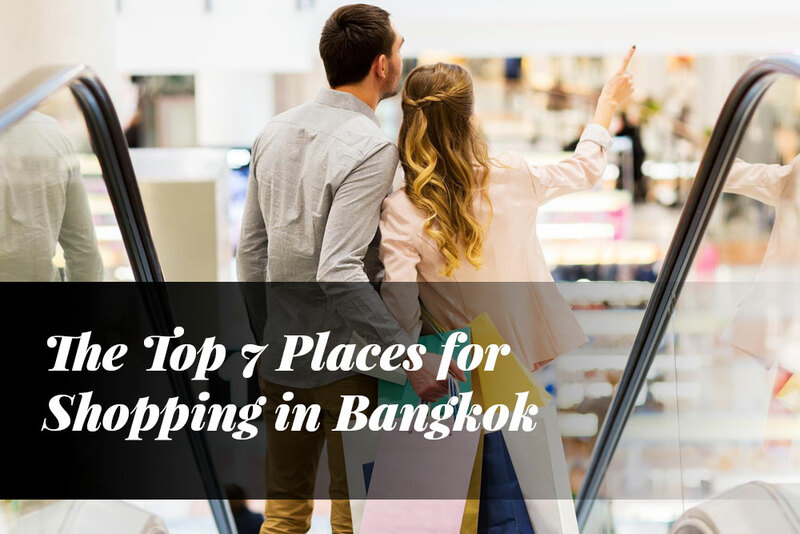 If you would like to experience how amazing shopping in Bangkok can be, then we, Apoteka, invite you to read this article, where you will discover the top seven places to do so. We can tell you from now that you will enjoy this experience from beginning to end, because you will see so many things that you won’t believe it. If you are looking for a truly amazing shopping experience, then you must come to the Central World in Bangkok. You could expect less from a 830,000 square metres mall. You can even find an ice-skating rink here, so there is a lot more to do besides shopping, in case you want to rest for a while. Here you can also find restaurants; in fact, you have 100 different options, including cafes. In total, you can find 500 different stores, where you will find plenty of variety of products for every kind of person. Without any doubts, this will be a paradise in earth for those who love shopping, because with a vast variety, you will never run out of options! You can find it at Ratchaprasong Intersection, which is opposite to Erawan and Gaysorn. Over 250 stores in general. 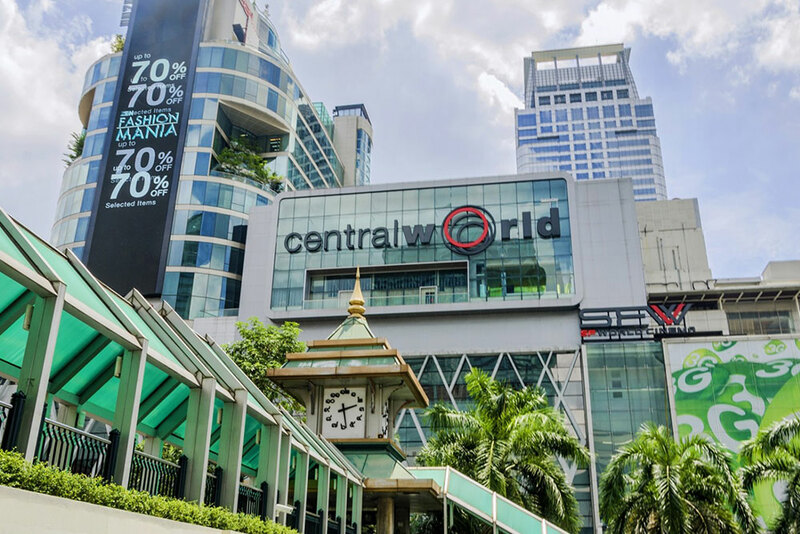 Like Central World, here you will find tons of variety to satisfy your shopping craves. However, consider that this is a luxury mall, so everything here will be more expensive than other places, because we are talking about high-end brands. 1st floor: Everything fashion can be found here: Zara, Armani, H&M, Hugo Boss, etc. 2nd and 3rd floor: All about leisure and lifestyle: Sony, Samsung, Ferrari, Lamborghini, Trend Design, etc. 5th floor: Here you can find the amazing Cineplex. 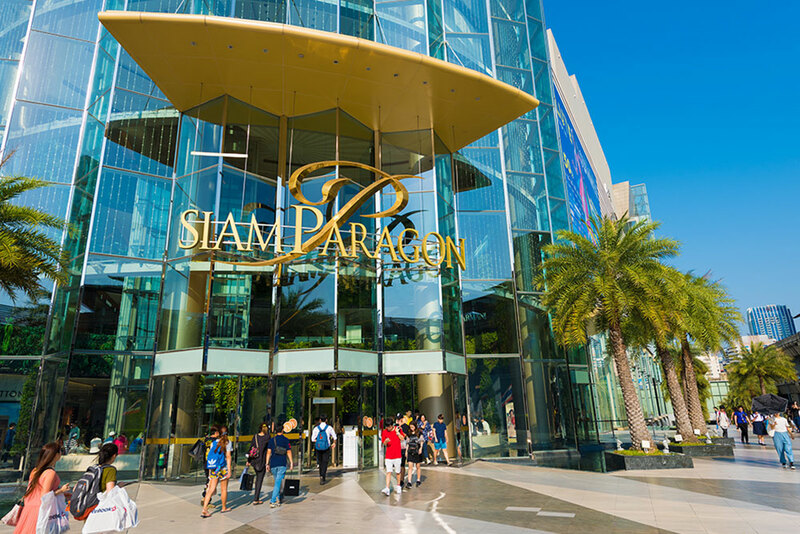 All in all, the Siam Paragon is a must-visit for those who love shopping. You won’t regret your visit! You can find it at Siam BTS Station. This is the perfect mall for those looking for sophistication. 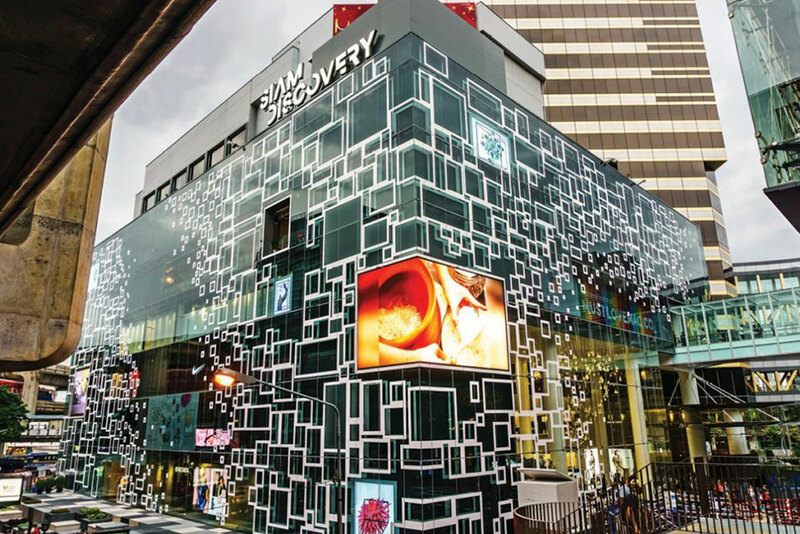 If you are one of them, then you are going to love what Siam Discovery has in store for you. This is perfectly for young people and families, because the variety of shops will offer the products they are looking for. It is especially known thanks to its excellent fashion outlets and stores that offer products from cutting-edge brands that you won’t find nowhere else. It is all about sophistication. 6th floor: Here you can find The Sky Dining and the Madame Tussauds Wax Museum, in case you get a bit bored of shopping and want to try something different. 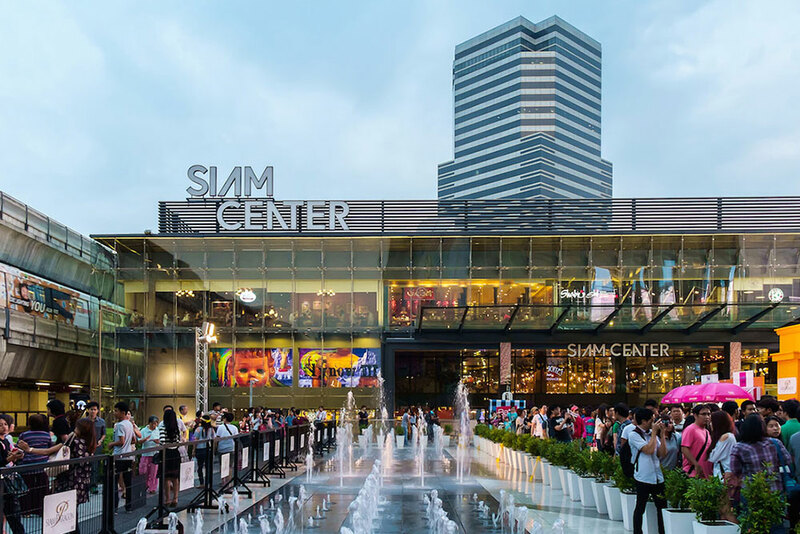 You will have a lot of fun exploring this vast and entertaining shopping center that you can find next to Siam Centre. If you are looking to buy products from the most prestigious and elegant lifestyle brands, then you need to visit Erawan. Top floor: This is where you have to come if you want to relax and live different experiences, because here you can select different kinds of therapies to spoil yourself well. Its wellness center won’t fail to immerse you in a sea of total peace and relaxation. All in all, this is the perfect mall if you want to find unique and elegant designer products. It is an exclusive mall, so you can bet on it that you will find exactly what you are looking for. You can visit it at 494 Ploenchit Road, Ratchaprasong Junction. 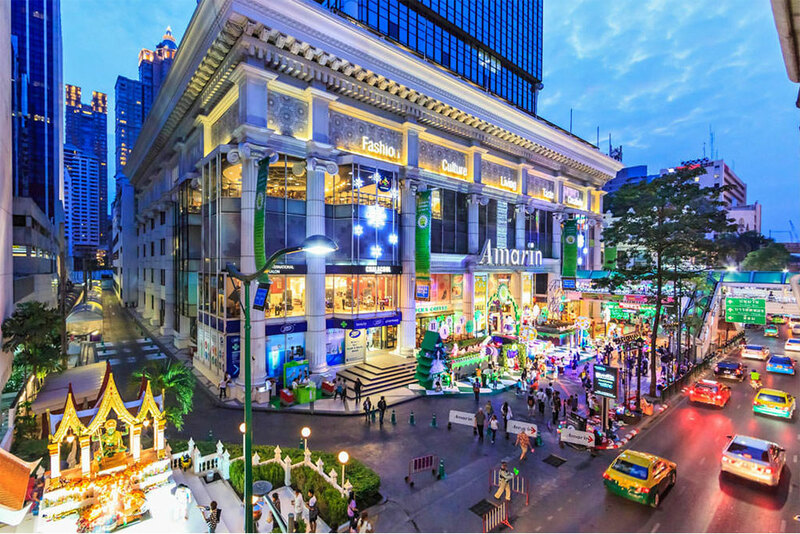 When it comes to shopping in Bangkok, this is one of the places you must visit during your stay, because it is legendary thanks to amazing shopping experience you can live only here. To start, it is a multi-storey mall with an outstanding variety of shops. Here you will find nothing less than 2000 stores grouped in eight different floors, so there is a lot to explore for you! Here you can buy practically anything you can think of: gadgets, designer clothes, shoes, furniture, smartphones, accessories, beauty products and more. You will have more than enough with its 2000 stores, with many under every single category. Like Erawan, Siam Paragon and Siam Discovery, the top floors are reserved for fun and different experiences besides shopping. Here you will find cinemas, karaoke and lots of restaurants where to choose from. If you are looking for a nice deal, then you have to explore the bargains galore. Here you can even negotiate prices like on the street, so you can show your skills here! Here you will also find an outstanding variety of electronics, gadgets and smartphones. Without any doubts, you will enjoy it a lot, because you will find many stores of this kind. All in all, it is a real paradise for those looking for a huge variety of products under one roof. You can find it at Pathumwan Intersection. The perfect mall for those looking for the best fashion stores, talented tailors and craft shops. In the ground, it is normal to find a “mega sale” where you can find really attractive bargains, so it is worth browsing it. You will find excellent discounts for some of the biggest brands like Nike and Adidas. The discounts in this mall are not uncommon. Weekly, you will find many for clothes, perfumes, watches and more, you only have to explore and you will be amazed by how cheap some high-end products can be. When you get tired of shopping, you can visit its amazing food court with many different options at your disposal. It does not matter if you are in the mood for Thai or international food, you will find it all here. You can find it at 496-502 Ploenchit Road, Ratchaprasong Square. For real, you cannot afford missing out visiting this mall. This mall is a bit different from the rest, because it aims to bring something different to the table. That is why here you will find over 200 Thai and international brands, including shops and boutiques from local designers, which means that you can get your hands on exclusive and original items. Sophisticated and exciting. One of the most impressive things about Siam Center is that you can find interactive dress-up televisions that show you how the clothes will look on you without entering to the stores. Brilliant and time-saving! Finally, when you have to take a break from shopping (because you will find many stores that will captivate your attention), you can visit the top floor to find the eateries of the mall. You will have a majestic variety at your disposal. You can find it at Siam. There you have it. If you love shopping, then you need to do it in Bangkok, because it is one of the best cities in the world to satisfy all of your shopping cravings and dreams! If you have any question or doubt, feel free to post it below. We will get back to you as soon as possible.